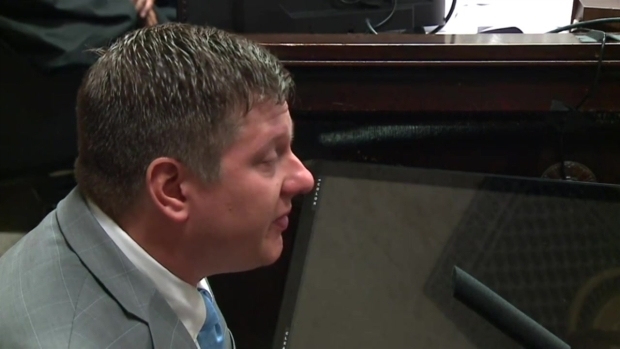 Chicago officials are preparing ahead of a 1:45 p.m. verdict Friday in the trial of Chicago Police Officer Jason Van Dyke, nearly four years after black teen Laquan McDonald was shot and killed by the white officer. 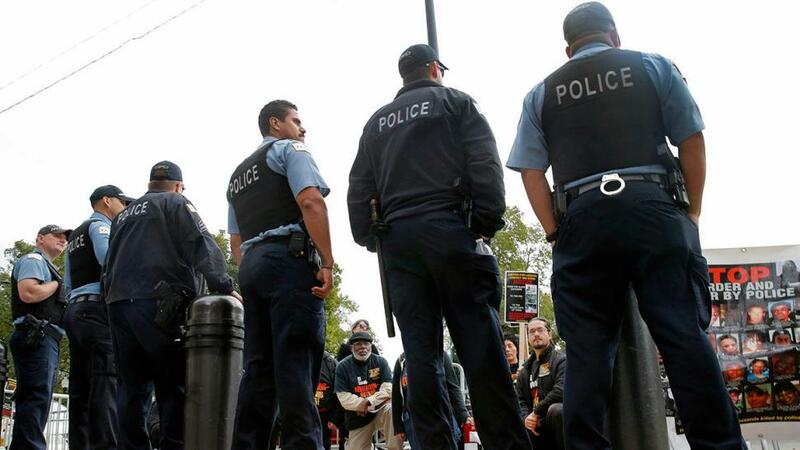 "This afternoon and evening, thousands of #ChicagoPolice officers are at the ready to safeguard neighborhoods and defend the rights of peaceful demonstrations," Chicago Police spokesman Anthony Guglielmi said. "As always any and all criminal activity that jeopardizes the safety of the people of Chicago will not be tolerated." Police said the department has spent months planning for the verdict alongside community members. "The Chicago Police Department has a comprehensive operating plan to ensure public safety in all of our neighborhoods while simultaneously protecting the rights of peaceful demonstrations," the department said in a statement. "As part of this effort, Superintendent Eddie Johnson has placed officers on 12-hour shifts to ensure a maximum level of coverage for closing arguments." The defense rested its case Wednesday, and closing arguments began Thursday morning. Still, area schools sent out alerts this week to parents notifying them of preparations should "civil unrest" occur. "This is an emotional time for our city, and many activists are calling for people to take to the streets regardless of the outcome of the trial. Should this occur, it may create potentially dangerous situations around the city," Principal Brianna Latko at Saint Ignatius College Prep wrote in a letter to parents. The Building Owners and Managers Association of Chicago issued an alert stating the verdict "may prompt additional protest activity" and urged buildings to ready a "preparedness and response plan." Defense attorneys for Jason Van Dyke rested their case Wednesday, one day after the Chicago police officer who fatally shot Laquan McDonald took the stand in his own murder trial. NBC 5's Charlie Wojciechowski reports. The Chicago Police Department's Crime Prevention and Information Center sent a "security preparedness bulletin" to the Magnificant Mile Assocation. "Given the nature of mass gatherings, predicting who will attend and what their motivations will be is difficult and unreliable," the bulletin stated. "It is possible that individuals unassociated with the group will imbed themselves to exploit the group's emotions and/or to incite and/or conduct acts of violence." The bulletin warned businesses to secure items that can be used to cause damage, have security sweeps, check exterior doors to make sure they are locking properly, review security plans and more. In the 19th Ward, Ald. Matthew O'Shea said he plans to stay in communication with Chicago police and Chicago Public Schools' Office of Safety & Security as a verdict is reached. He noted there will be a "significant increase" in police presence in the Beverly, Morgan Park and Mount Greenwood areas. "In the coming days, I will continue to work closely with law enforcement and community leaders to ensure the safety of our great neighborhood," O'Shea said in a statement. Defense attorneys for Jason Van Dyke rested their case Wednesday, one day after the Chicago police officer who fatally shot Laquan McDonald took the stand in his own murder trial. Charlie Wojciechowski reports. Dashcam video of the shooting sparked massive protests across the city when it was first released in 2015. The Illinois Legislative Black Caucus Chair Kimberly Lightford urged the public to "react with solidarity regardless of the verdict." She noted that the last time a Chicago police officer was convicted of murder for was nearly 50 years ago. The family of Laquan McDonald and the faith community that supports them have called for prayers for justice. They have also heard testimony from several Chicago police officers, including Van Dyke himself, and witnesses at the scene. They have seen the weapon Van Dyke used, heard from experts on how McDonald died and watched as FBI specialists demonstrated the shooting. There are plenty of major events happening around the city in the days ahead as Ed Sheeran performs at Soldier Field Thursday, Fleetwood Mac performs at the United Center Saturday, the Bank of America International 5K steps off Saturday, the Chicago Blackhawks host their home opener Sunday and the Bank of America Chicago Marathon takes place Sunday. Marathon organizers said, like every year, the marathon has collaborated closely with the police department and Office of Emergency Management as well as federal partners and private security firms. "We will work in partnership with these organizations leading up to and through race day to help ensure everyone’s safety for the 2018 marathon," the marathon said in a statement.